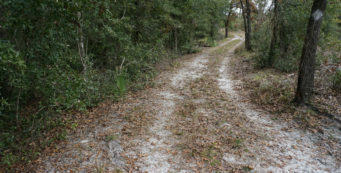 Cross Seminole Trail | Florida Hikes! 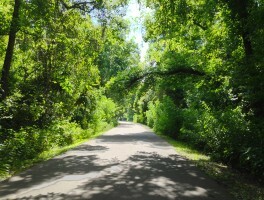 A 23-mile paved bike path across Seminole County from Oviedo west through Winter Springs and Longwood, connecting to the Seminole Wekiva Trail in Lake Mary. 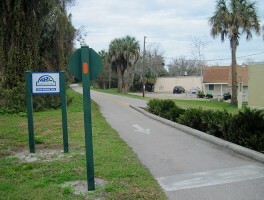 The Florida Trail follows the entire route. 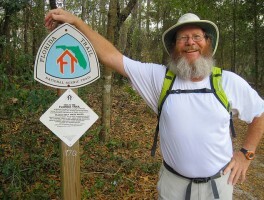 JK finishes up his last Florida Trail miles in Seminole County as he continues to fill in the blanks on a section hike of the statewide Florida Trail. A hike along the Cross Seminole Trail – which the Florida Trail follows – through Oviedo and Winter Springs means an introduction to suburbia in the Orlando metro. 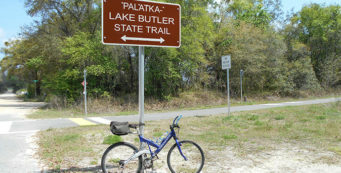 To see the Florida Trail from a different perspective, our friend Richard drove over from the coast to join Sandy and I for a recumbent trike ride on the Cross Seminole Trail. 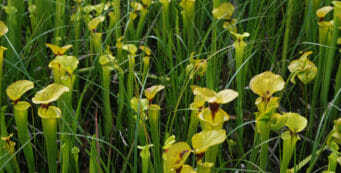 While The Senator is a charred stump, thanks to an arsonist, the grandeur of its surroundings at Big Tree Park – including a 2,000-year-old cypress – has reopened to the public. The home of some of Florida’s most ancient cypresses, Spring Hammock Preserve in Winter Springs is one of the most delightful places to take a hike in the Orlando area.